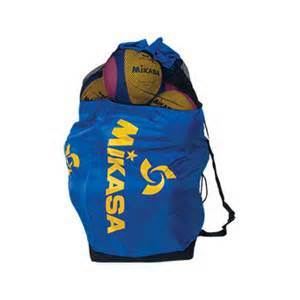 16- ball duffel bag by Mikasa, reinforced nylon with shoulder strap. Mesh drawstring top with canvas royal bottom. Holds 16 water polo balls or other balls.